Joe Bowler (b.1928) has entertained a long and prolific career as a commercial illustrator and illustrator of magazine novelettes and short stories. Today he lives in Hilton Head, SC and works almost exclusively as a portraitist. While training at the Art Students League in New York City, Bowler, at age 18, sought professional opportunities. The aspiring artist found work as an apprentice at Charles E. Cooper studios, an illustration and advertising agency, where his tasks were mainly to assist the artists with mixing paint and cleaning brushes. 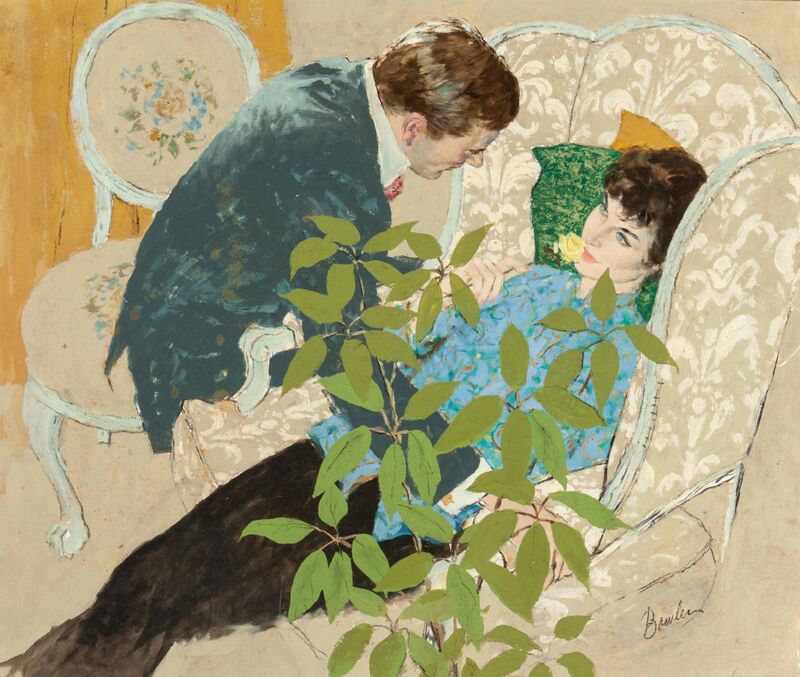 Unintentionally, from atop a stack of papers, his work caught Cooper studio artist Coby Whitmore’s eye. Whitmore asked to bring one of Bowler’s illustrations to a friend at Cosmopolitan who subsequently offered the budding artist a shocking $1,000 for it. He was accustomed to making $35 a week as an apprentice. 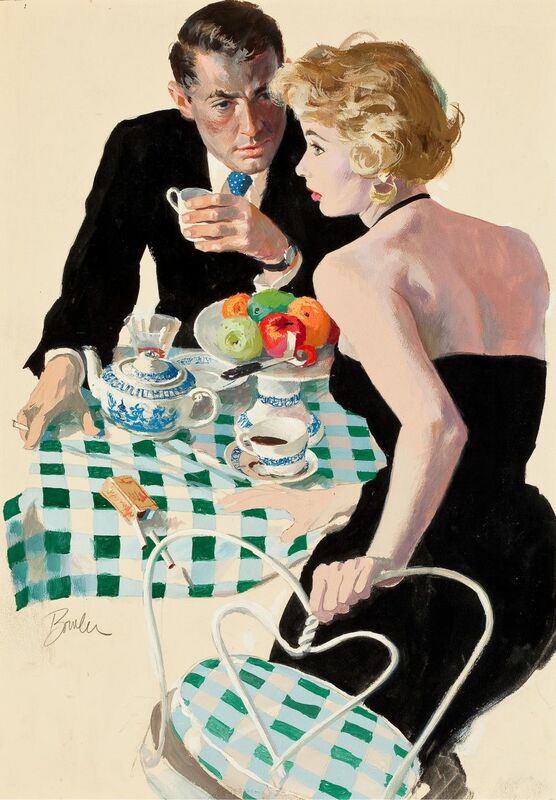 Bowler continued to produce works for Cosmopolitan, and was hired by others to make illustrations for McCall’s, Good Housekeeping, Redbook, The Ladies’ Home Journal, and The Saturday Evening Post. 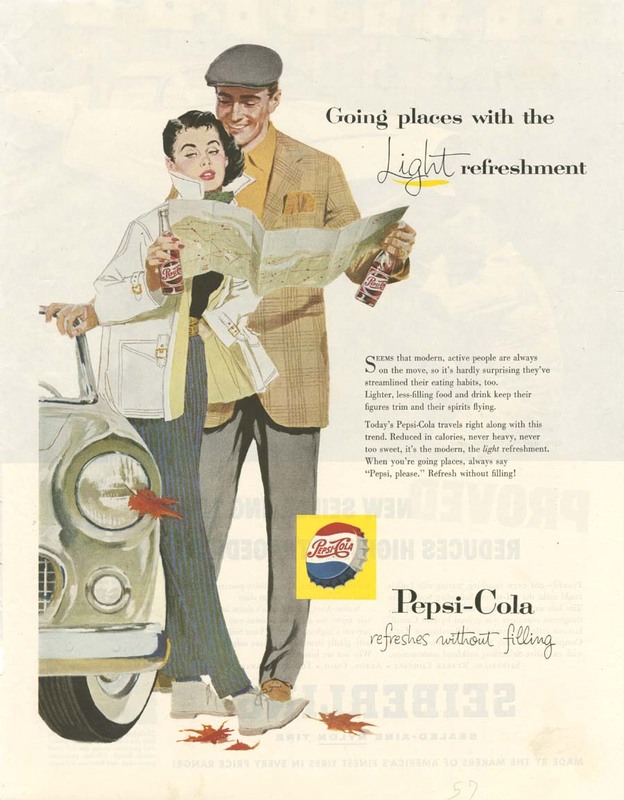 He became a regular ad hire for Pepsi and Bibb Sheets. When the United States entered World War II, Bowler, like many of his fellow artists, contributed his talents to the war effort. He designed enlistment posters for the United States Air Force. Tragedy struck in in 1958, while on a trip to France Bowler contracted polio and became paralyzed. Luckily, rigorous therapy restored movement to his arms and hands, thus returning him to his beloved career in painting. Joe Bowler’s reputation led him to paint portraits of many influential figures of the 20th century, including Rose Kennedy and Julie and David Eisenhower. Many professional organizations have honored him, including the New York Art Directors Club and The Artists Guild of New York, which named him Artist of the Year in 1967. In 1952, The Society of Illustrators elected him into the organization, and in 1992, he was inducted into their Hall of Fame. The Air Force Academy collection in Colorado Springs houses a collection of his works. The photograph featured in Joe Bowler's biography is used with his permission and was collected from the artist's personal website. Ermoyan, Arpi. Famous American Illustrators. Edison, NJ: Chartwell Books, 2002.